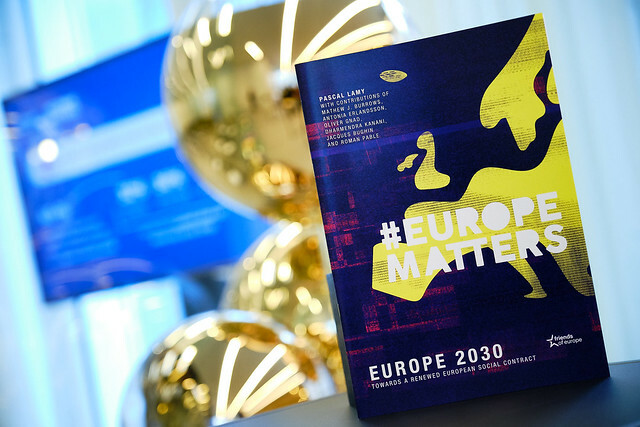 Europe Matters launch: How do we make citizens matter? Can Europe reduce the distance and better include citizens in decision-making? Europe should be less state-driven and more citizen-driven. This key conclusion emerged from a debate organised by Friends of Europe in Brussels on 30 January 2019, featuring six senior politicians from the European Union’s major political parties. The event marked the launch of ‘Citizens’ Mandate’ – featuring new policy insight that is part of the think tank’s year-long initiative #Europe Matters – Shaping An EU Citizens’ ‘Mandate For Change’. “The EU must change or it will become irrelevant,” remarked the moderator Dharmendra Kanani, Director of Insights at Friends of Europe, while highlighting EU citizens’ growing alienation from political dialogue, as demonstrated by Brexit and the rise of populist parties. He added that the recently published Citizens’ Mandate report – which features 11 policy options, such as greater EU citizens’ participation, merging the digital and single market, or an open dialogue on integrating migrants to Europe – also concluded that the bloc must change and reform itself. The debate’s panellists all agreed that citizens should play a bigger role in the EU, for example by direct participation in policy and budget-making via citizen assemblies and digital platforms. Yet there was a notable split between the panellists, as well as audience members. Some advocated direct democracy, underpinning traditional structures within the European Parliament. Others worried that more participative democracy could undermine existing EU processes and structures. Each panellist listed their priorities for better citizen engagement and decision-making – centred on security, prosperity and tackling climate change. Sustainable development was vital for everyone, including a call for EU policies to be coherent with the 2015 Paris Agreement on climate change. Prosperity should be built around equality, education, social support, and jobs – especially digital, high-tech, and small businesses. Panellists also called for better wealth distribution, for instance by abolishing tax havens and reducing fiscal evasion across Europe via improved monitoring systems. There was less consensus about EU security, with diverging views on cybersecurity. However, the youngest speaker, Ms Colombe Cahen-Salvador from the new pan-European party VOLT – and clear winner of the informal audience poll on which panellist had best responded to the Citizens’ Mandate – forthrightly called for a European defence force. The unexpected victory of VOLT raises questions about the messages and approaches that established parties have long held and provides an interesting point of reflection. The debate also spotlighted the need for better communication of the European project to citizens and governments. Good news stories might be the best way of reaching out to EU citizens and making Europe matter in future. Thanks to their positivity and emotion, such stories can reignite everyone’s passion for Europe, against the backdrop of an uncertain and fracturing world.